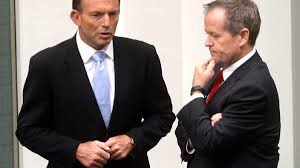 But is Shorten ‘backing Labor into a corner’ on future tax and social welfare reform? But what's the substance come Budget-time? · Phasing in 70 as the age of retirement, with the family home included in an assets test – even where such assets are way below average property values…. Importantly: Howard era tax cuts went well into the tens of billions. ‘The Australian’ observed how in the dying days of the Howard/Costello government $34 billion in tax cuts were promised – and then matched by Rudd Labor. Even the usually-biased ‘Australian’ noted the impact this had upon the Federal deficit. The consequence of these unsustainable tax cuts was a Labor Government that largely ‘trod water’ when it came to overall progressive reform of welfare and of the social wage. Restructuring of income tax, improvements in pensions, and subsidies for disadvantaged workers (eg: in aged care) – were important exceptions. And Rudd Labor deserves credit for its response to the Global Financial Crisis; with its timely investment in infrastructure. Yet there were also attacks – such as cuts to Sole Parent pensions. And implementation of Gonski and the NDIS were committed to ‘into the future’ at a time when Labor seemed bound to lose office in any case. Labor did ‘put Abbott on the spot’ – pressuring him to commit to these popular polices. But now it appears Abbott never had any intention of keeping his promises. To get this in perspective Australian Gross Domestic Product is now worth over US $1.5 TRILLION; and by comparison Japanese ‘general government debt’ is over 200% of GDP; and US ‘general government debt’ at over 100% GDP. b) We need to consider our capacity to SERVICE the debt; and the ‘trade off’ from public debt compared with greater productivity which would flow from public investment in infrastructure, education and the like. d) Finally: issuing government bonds over the long term is arguably a fairer way of financing major public infrastructure – as the cost can be staggered over several generations with those who will benefit in the future paying their fair share. If the regressive subsidies for wealthy retirees via the Superannuation Concessions regime are taken into account; and if unsustainable tax cuts flowing largely to the wealthy and the upper middle class are considered; it becomes clear that Australia has the means to provide for the Aged and the disabled without vicious austerity. That is: without attempts to whip up resentment against vulnerable welfare recipients. GetUp! has observed that over $15 billion in superannuation concessions go to the “richest ten per cent”; and arguably even more if we consider the upper middle class. On the basis of the figures already considered: progressively raising government revenue to pre-Howard levels (as a proportion of GDP); and winding back regressive superannuation concessions alone could claw back well over $50 billion. From those measures alone, the Federal government could meet increasing demands in future decades on health, welfare and aged care . It could also meet the cost of providing key infrastructure and social services publicly – without the extra (regressively structured) costs on private consumers that flow from privatization. Abbott has broken faith with the Australian people. And unlike with Julia Gillard, he has broken that faith without the Greens ‘holding him over a barrel’ lest he lose Government. Just as Gillard was hounded until the very end on her carbon tax promise – Labor needs to ensure Abbott – and the Australian people – never forget this broken promise. The Government’s plans to raise taxation slightly for the upper middle class and the wealthy while ‘coming down like a ton of bricks’ against welfare recipients is also offensive. He could just as well have been speaking to Abbott, Hockey or Cormann. A wealthy taxpayer might barely notice a marginal increase in tax. But for the poor and vulnerable the impact of welfare austerity would be crushing. But Shorten’s response to the Government’s plans is also very disappointing. Again: Abbott must be held accountable for the breach of trust. But Shorten’s apparent opposition to any increase of tax on the middle class is also deeply concerning. Yes, removing superannuation concessions from the most wealthy could save over $15 billion. But a more ambitious program of welfare, infrastructure and social wage expansion would necessitate a broader base. And over the longer term even ‘treading water’ on welfare and social wage provision would require a proportionate increase in tax. The ‘good news’, however, is that tax increases on the middle class don’t have to be too severe – because of that broader base. Labor should never have abandoned its support for a retirement age of 65. Arguably for retirees there are ‘quality of life’ issues that go beyond the drive to extract more revenue and press ever-growing consumption. Under these circumstances the middle class would have to shoulder part of the responsibility for making Australia a truly ‘Good Society’. If Shorten does not take account of this the Greens most likely will. And Labor will progressively ‘lose ground’ to the Greens ‘on their Left Flank’; while floundering in its attempts to inspire a rush in membership levels and activity. All said, though, it is the austerity rather than the tax measures which are the most concerning aspect of the Conservative agenda in Australia. The tax measures on their own could provide a ‘silver lining’. Some debt is arguably necessary to spread the cost of infrastructure over generations. But cutting debt servicing costs in half could be workable, and arguably see all that money saved (approx. $4.5 billion) redirected every year toward the most vulnerable and needy. For instance: for those in need of Aged Care.